Constant Content is a popular online service that acts as a marketplace for content providers. A writer can create a unique, SEO-driven piece on any topic he’d like and put it up for sale on Constant Content. People who need writing to power their blogs and websites can then search through available articles for content they’d like to purchase. 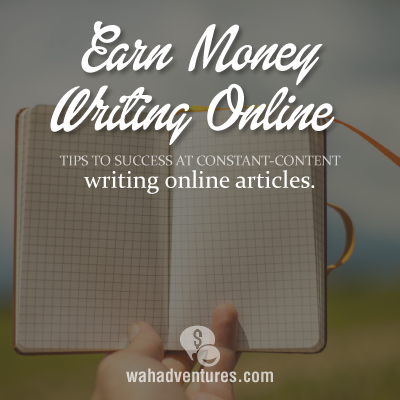 It’s a scenario that allows a writer to make good money doing what they love. That is, however, if the writer knows how to properly use Constant Content for his advantage. Write articles that people want to read. Though it’s great to have a specific interest and write passionately about a topic you love, you just aren’t going to be able to make a ton of money if that topic isn’t popular. Browse through the listings of recently sold content and try to get a feel for what buyers are interested in. If you can identify a particular void, try to fill it with well written content. You can also use the total number of “views” that your published pieces get as an indication of popularity. Pay attention to the articles that are frequently viewed by buyers. Be competitive with your pricing. Just because you think that a 300-word article is worth $100 doesn’t mean someone is willing to pay that price. Look at the prices that other similar stories are selling for and adjust your prices accordingly. Also, don’t be afraid to use the “Best Offer” feature. The “Best Offer” feature allows a buyer to make you an offer if they don’t like the price you’re asking. While many offers will try to severely under-value the piece in question, some may be reasonable and can result in a quick sale. Write on a variety of topics. If you like to write technology pieces as well as entertainment pieces, for example, do a few articles in one category before moving onto the next. Spreading out your catalog of writing increases your chances of being discovered by buyers. People have said that out of every five articles you write, one has a high chance of selling for some type of license on Constant Content. Use this information to your advantage. 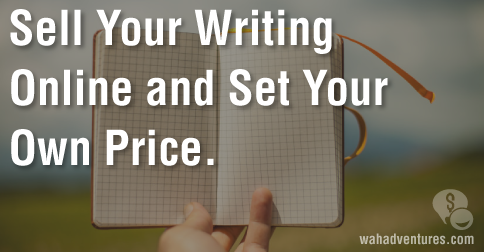 Plan to write a lot, as each article you write and submit increases your odds of one selling. Anything that doesn’t sell immediately will still sit in your catalog of produced pieces waiting for someone to find and purchase them. Don’t expect to start making big money overnight. Article sales will be slow at first, but don’t let this discourage you. As more people start finding your articles, your pieces will continue to show up in the “Recently Sold Content” section of the site. Your byline will also be in the category sections for the types of pieces that you’ve been writing. As more buyers start to see your name, more of them will start to check out your catalog. After that, the sales will come rolling in. This article was written by Kevin Campbell.